[Updated] Minutes ago a suspect escaped custody outside Magistrates Court in Hamilton. He was being brought out after facing firearm charges relating to a shooting last year, and just took off running at high speed up Parliament Street while still handcuffed and Prison Officers giving chase. Situation is developing, we will update as we can…. Update 10:40am: Manhunt underway, Police are stopping and looking inside vehicles in the Court Street area, paying special attention to trucks. We understand the suspect is handcuffed. Update 10:57am: Official update from Police Media Relations: Alvone Maybury, born March 1 1986, escaped from prison officers while he was appearing in Court this morning [July 13]. He is wearing a long sleeved gray Westgate sweatshirt and pants. His hair was in braids on both sides of head. Update 10:59am:He had just appeared at Magistrates’ Court on firearm charges [possession of firearm and ammunition and discharging a firearm in December last year] when he escaped. He was not required to enter a plea as the matter must be heard in Supreme Court. Update 12:30pm: Bernews would like to be sincerely apologize to our readers for the one hour crash we just had, our host took the site offline due to the traffic spike. We are taking steps to ensure this does not happen again. While site was down we were on the scene, and Police continue to block roads and search on the North Hamilton area. Around 10:30am today, Police responded to a report of an escaped prisoner. It appears that 24 year old Alvone Maybury of [Alvone Maybury] Pembroke escaped from custody as he was in transition from court. Police and Department of Corrections personnel are currently looking for the man, who was last seen wearing a grey sweatshirt and khaki pants. He is described as brown skinned wearing his hair in braids. 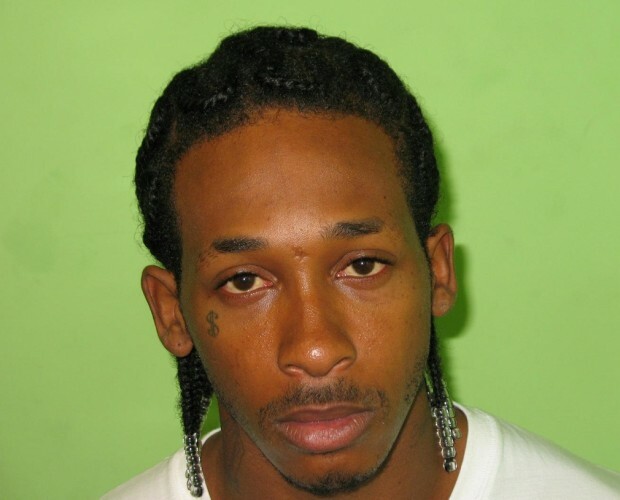 Police are appealing for anyone with information on the whereabouts of this individual to contact 295-0011. The public is reminded that harbouring a fugitive is an offence punishable under the law. Update 12:46pm: ZBM cameraman Arnold Landy is to be commended for very quick work at the scene, and he captured the escape on camera. Tune in to ZBM tonight at 7pm to watch the footage. Update 2:25pm: Police presence in North Hamilton has decreased, Princess Street no longer blocked off. The centrally located ‘hotspots’ [42nd, Middletown, Friswells, Deep Dale, Court Street, Curve, Whitewall etc] all show no Police presence at this time. Update 3:38pm: We have officially confirmed with the Police that the suspect is still at large. It has now been 5 hours since the suspect escaped. Update 5:00pm: We checked again with Police, and as of 5pm he is still at large. Update 5:06pm: Speculation continues to grow that the suspect had assistance in his escape, with those on scene at the time citing his seemingly quick disappearance. Update 7:04pm: ZBM’s footage showed one Prison Officer giving chase, stopping at the intersection. Update 10:10am: Suspect appears to be on Facebook at this time, see here for more details.